RACHEL REISS has graduated as the Blue Sapphire, but continues to support the Blue Band and Ab-Salute Twirling! KYLIE ROBBINS AS FEATURE TWIRLER FOR MARSHALL UNIVERSITY! 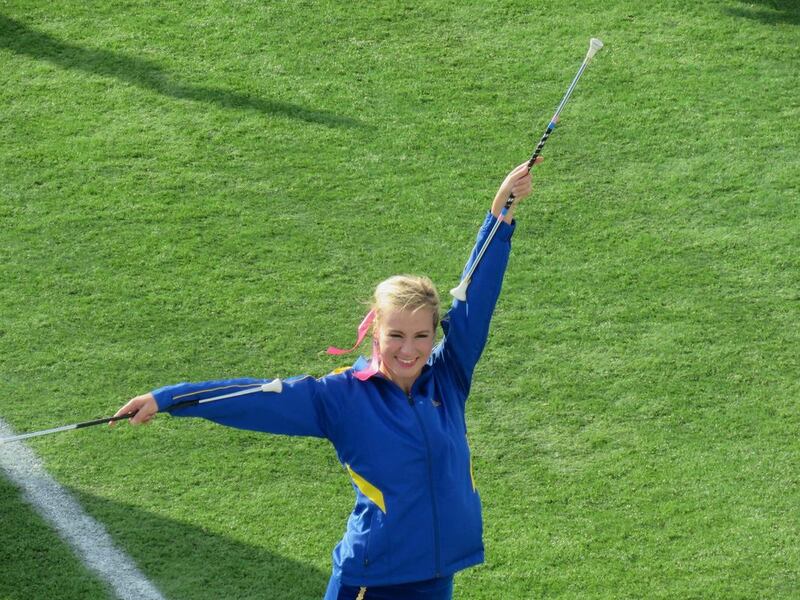 CAITLIN REESER has graduated and still continues to support the University of Delaware Golden Girl Twirlers and Ab-Salute Twirling. Emilie Thibeault as the Feature Twirler for Pequea Valley School District. Did you know that college scholarships are offered for baton twirlers? 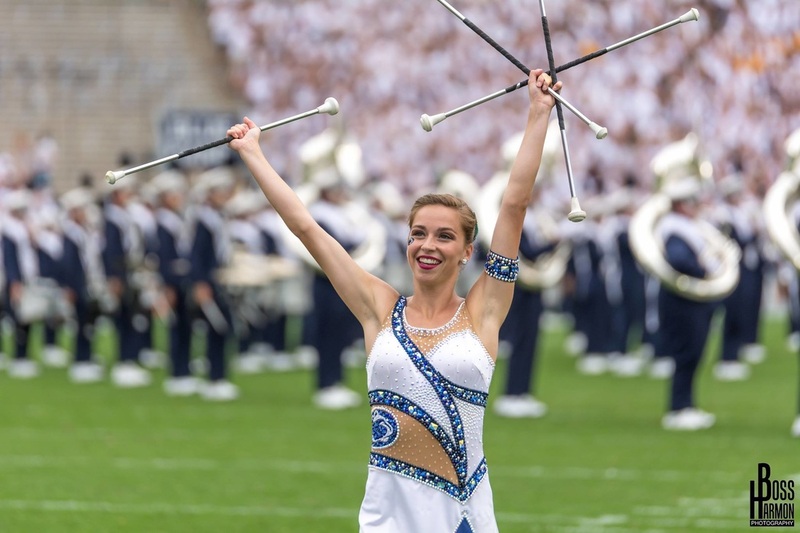 Rachel Reiss is the current feature twirler for Penn State University! Kylie Robbins is the current feature twirler for Marshall University! Emma Johnson is the current feature twirler for the University of Mississippi! Caitlin Reeser Golden Girl for the University of Delaware! Did you know that there are competitions held at the world level? We have a USA world team member among us! Come and see what baton twirling can do for you! Whether you are interested in competition or recreation...we have it! Beginner through Elite for all ages.